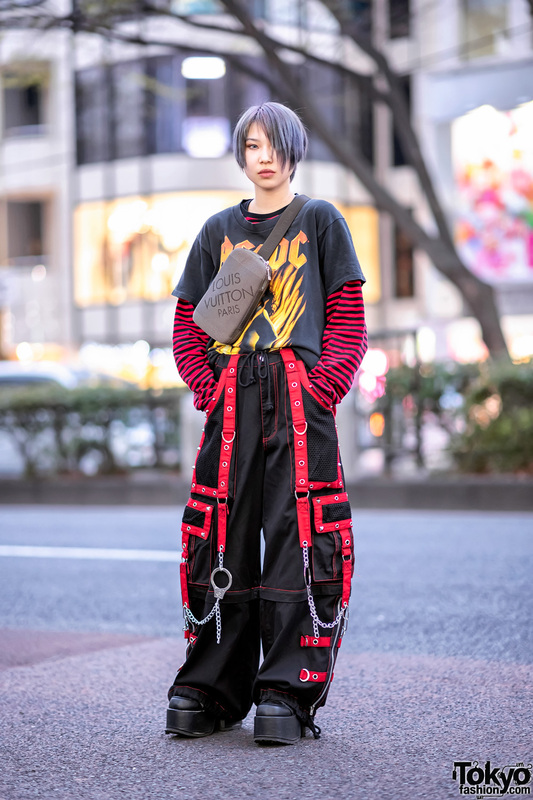 While walking along the Harajuku street one late afternoon, we met Najun and Ove, two teens whose chic ensembles easily caught our eye. 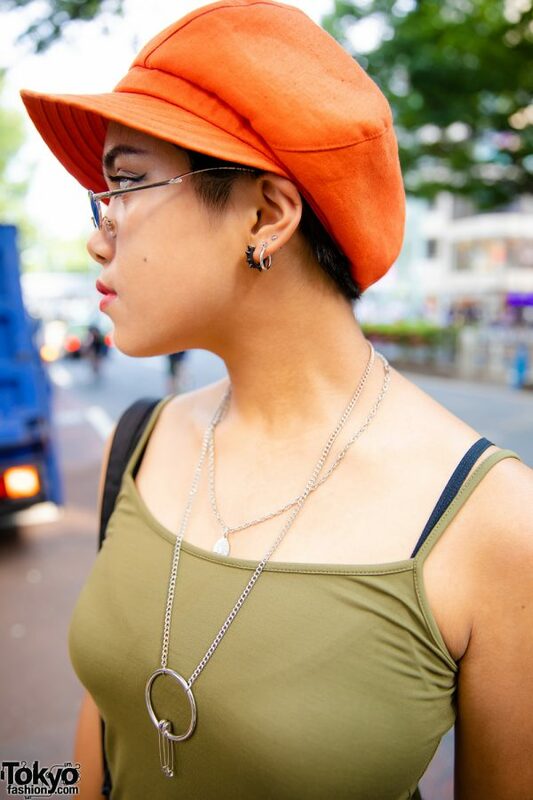 Sporting an orange Lacoste newsboy cap at the left is Najun, who is wearing an olive green Zara tank top, black pants from San To Nibun No Ichi, and tall platform lace-up boots from Dolls Kill. 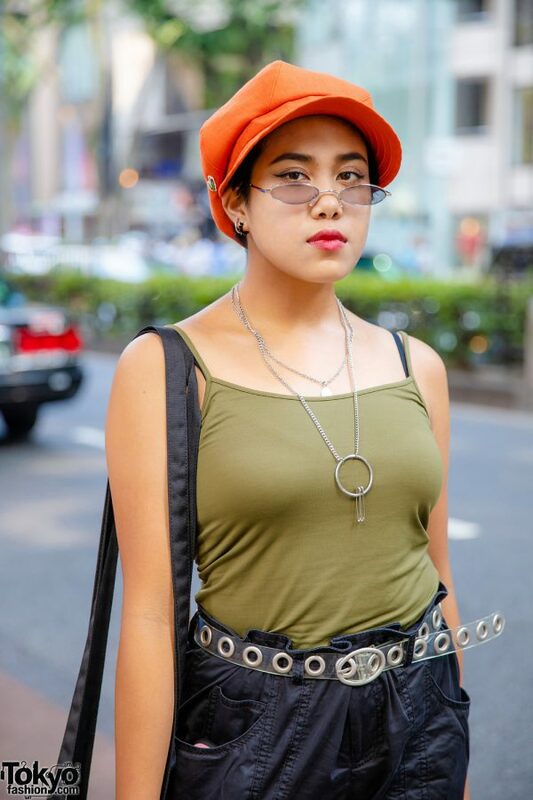 The 18-year-old student styled her outfit with accessories – from Oh Pearl and Faith Tokyo – such as a pair of sunglasses, multiple hoop earrings, layered necklaces, silver knuckle rings, and a clear grommet belt. 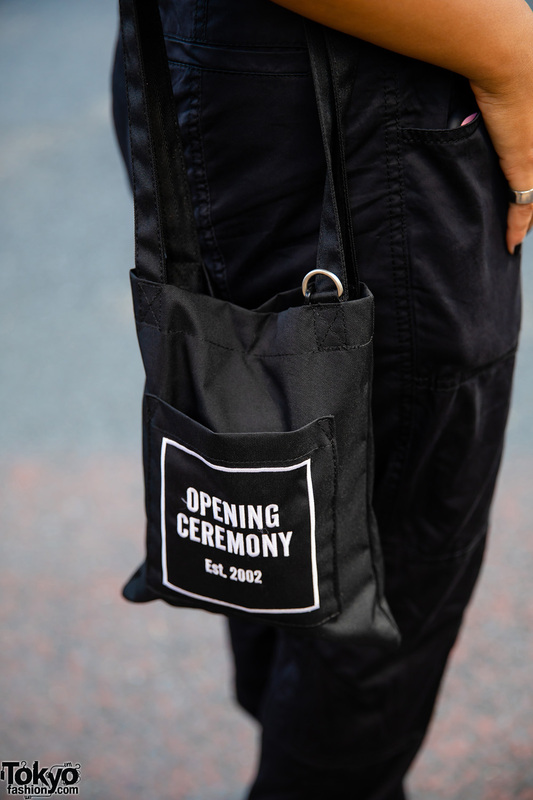 In addition, Najun is carrying a black sling bag from Opening Ceremony. 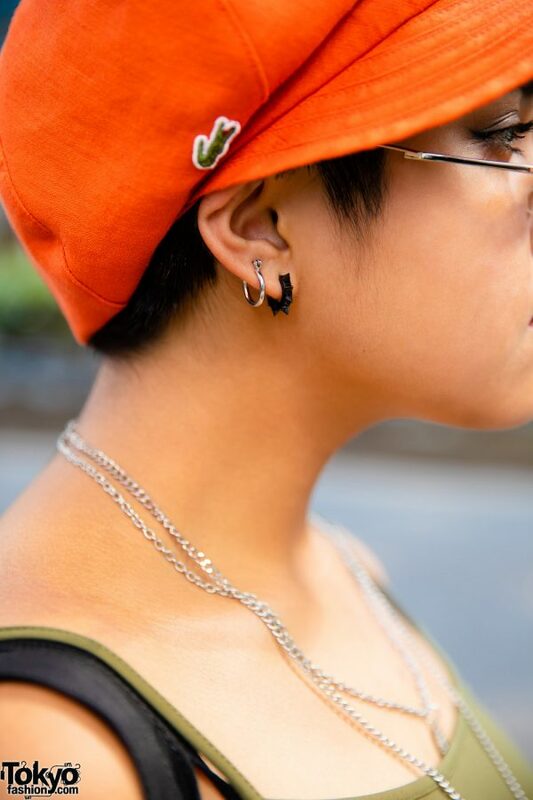 She mentions Pinnap as her favorite fashion brand, and she is active on both Twitter and Instagram. 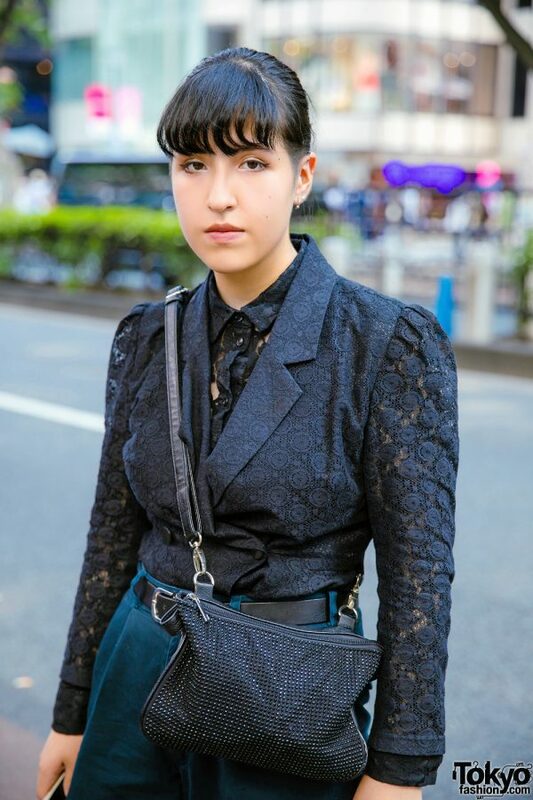 Meanwhile, Ove – sporting a green-tipped ponytail with undercut – is clad in lace on lace layered look which consists of a vintage black lace blazer with puff sleeves, worn with a black H&M button down lace top and paired with vintage dark teal pants. 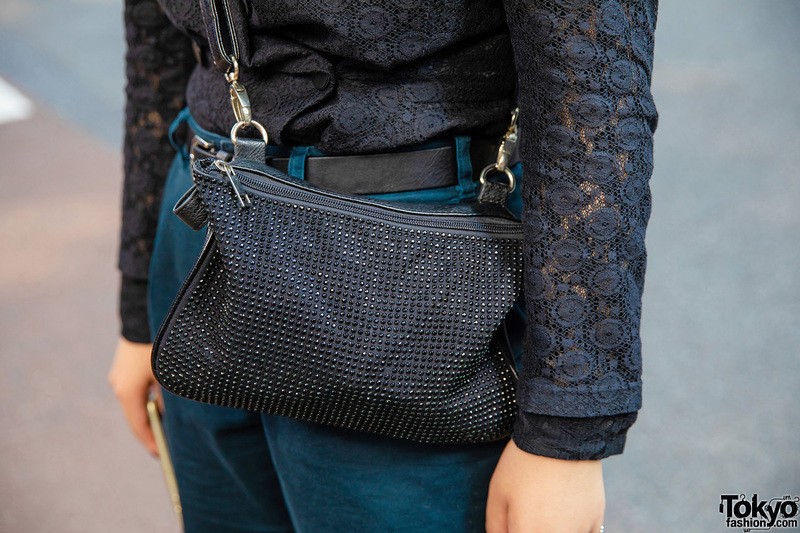 The 17-year-old finished off her look with black platform lace-up shoes and a black studded sling bag. 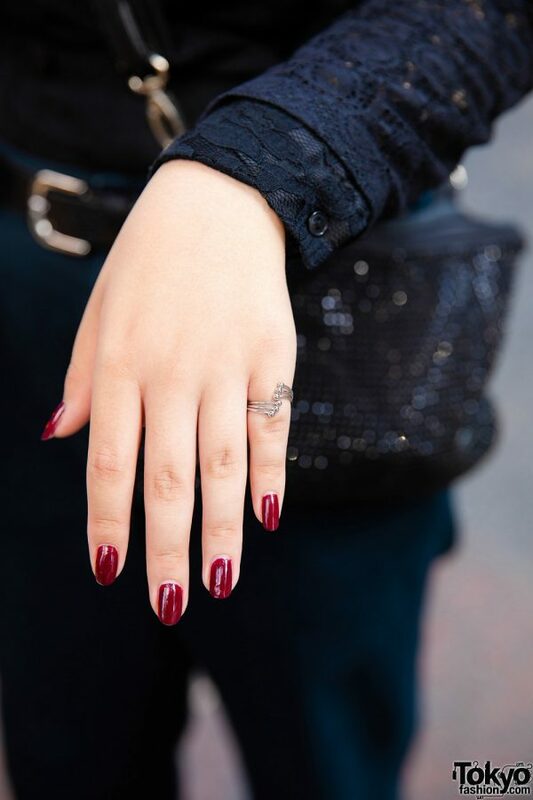 Accessories from Kinji such as silver earrings, a black leather belt, and a cute silver pinkie ring rounded out Ove’s style statement. 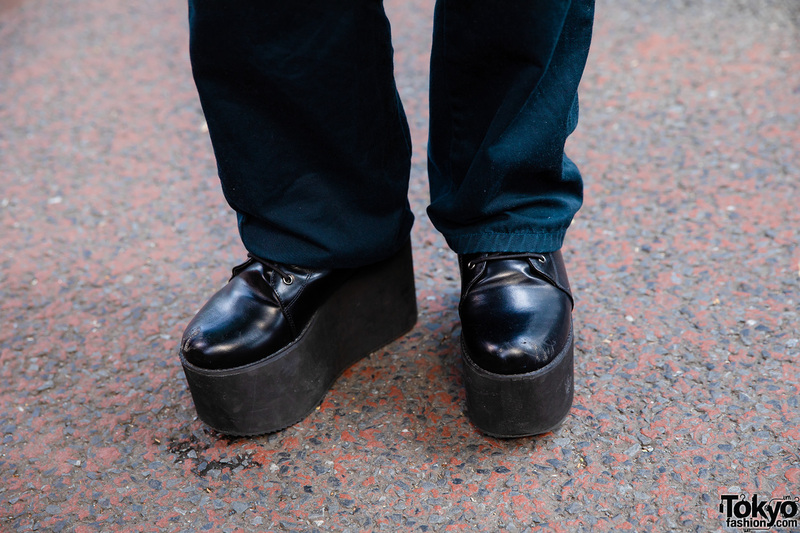 Kenzo is Ove’s favorite fashion label, and she likes the music of Ziyoou-Vachi. 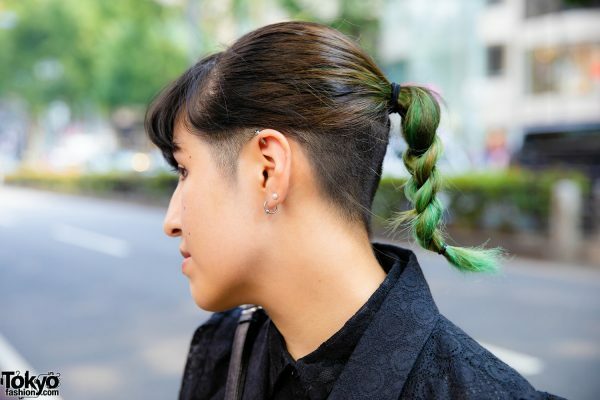 Check her out on Instagram.